Have you checked your deodorant’s ingredients lately? Read on to find out if you should swap your big-brand deodorant or antiperspirant and opt for a more natural formula! Celebrate the earth every day with indoor houseplants! Here’s how they can improve your quality of life and why you should add them in your home. Detox and de-stress with the help of an infrared sauna! Check out how they work and what they could do for you! Learn how the world's largest nutrition school can empower you to transform your health, launch a meaningful new career, and create a life you love. Autoimmune conditions are on the rise. Read on to learn more about these conditions and how diet may play a role in their progression. Just in time for spring! Check out five ways to beat seasonal allergies, naturally. 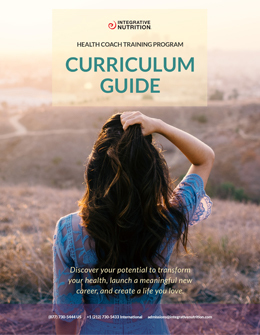 Learn how fitness professionals can benefit from earning a health coaching certificate and check out what one graduate is accomplishing today! Just in time for spring-cleaning, here are a few of our favorite DIY natural cleaning products and recipes to try at home! Looking to expand your at-home workouts? Here are five full-body exercises to try – all you need is a resistance band!